Pictured below is a card that had eluded me for a few years. In fact, the first time I saw it, I figured it was just a short-run (or “one-time”) printing flaw, but a few of them recently found their way into my collection via a thrift store junk box of 1988 Donruss commons. As of today, I can confirm 4 different versions of this odd printing flaw/plate error. 1. Blue, ballpoint-pen-looking “scar” along throat, curls into jaw line (pictured). 2. Blue, ballpoint-pen-looking “scar” along throat, stops at jaw line (pictured). 3. White, edited or airbrushed “scar” along throat, stops at jaw line (not pictured). 4. No visible trace of “scar” on neck (pictured). 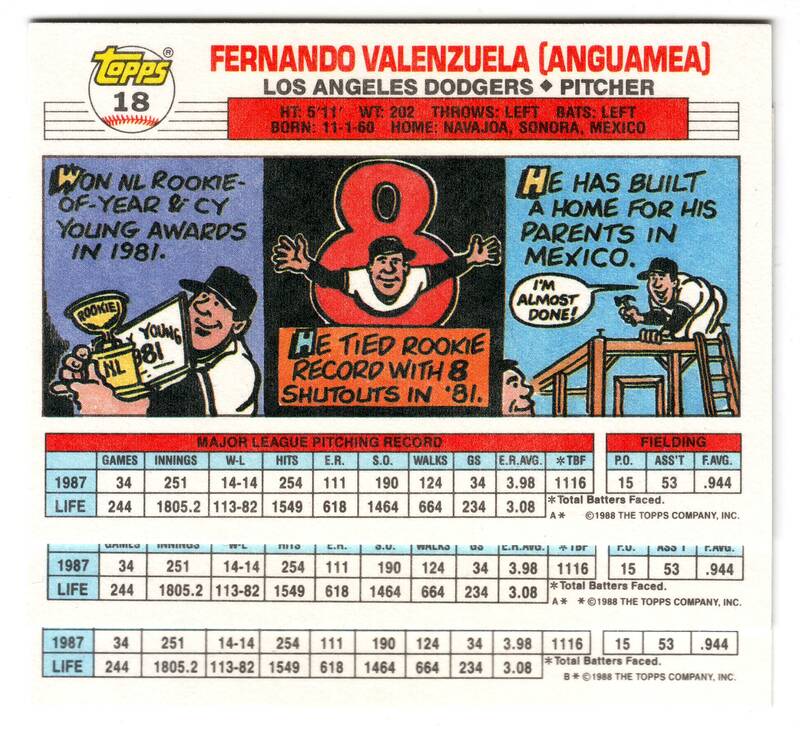 1988 Topps BIG: a master set challenge! 1950’s nostalgia was running rampant in the 1980’s and Topps, the trading card company we all know and love, was not unaffected by this epidemic of nostalgia. 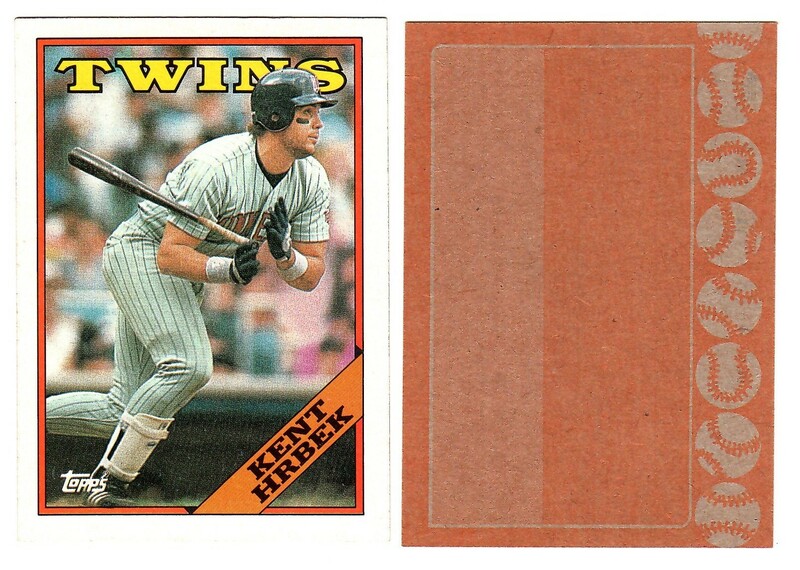 In 1988, Topps launched Topps BIG, based in design off their 1956 issue including the slightly larger-than-standard size. Not only is this set an underappreciated ‘gem’ for it’s design, they look almost designed for TTM or in person autographs. This set, in all it’s beauty and bountiful selection of players (330 in all), is full of variations, albeit minor ones, but for the obsessive-compulsive master set builder or variation collector, true variations they remain, nonetheless. 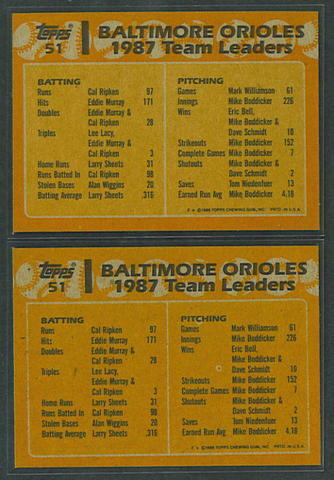 Each of the 330 subjects can be found in at least 2 different printer’s designation variations: for the new readers, that is the little letter code before Topps copyrights (A*, B*, C*…for example). Some players, a lot in fact, have as many as 4 different at last count.